We're celebrating Samoan Language Week in the Unitec Libraries. 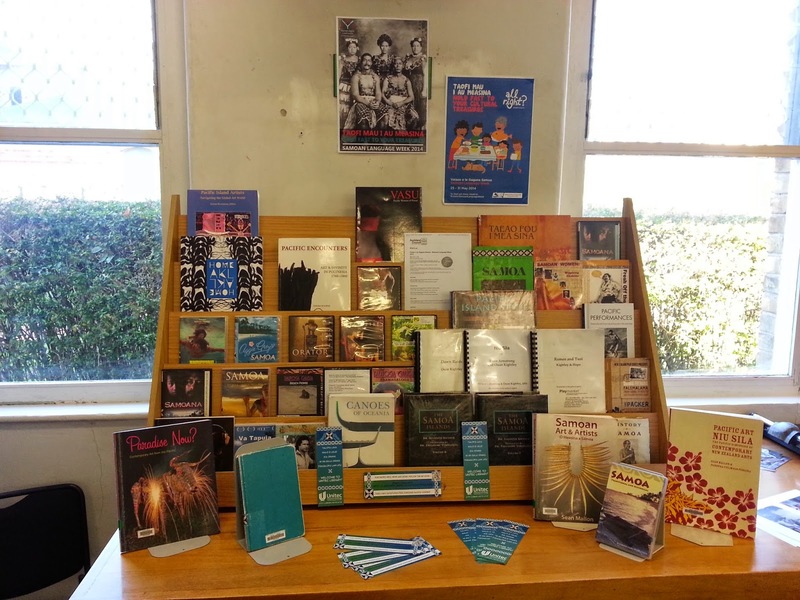 Have a look at the display in the library nearest you. DID YOU USE THE INTERLOAN/DISTANCE FORMS OVER THE WEEKEND? We have discovered that the library request forms for interloans and distance services did not work over the weekend. This was due to changes made to the Unitec corporate website. If you submitted any requests over the weekend please resubmit as the problem has been resolved. We apologise for any inconvienence. On 17 May Unitec introduced a new website. However the pdfs for the past exam papers are still on the old website and the address of the old website has changed to http://www.1.unitec.ac.nz/ - ie a 1. is now between the www. and unitec. Unfortunately the links from our LibrarySearch records to the pdfs of past years exam papers have not yet been updated with the new address. We hope to have the links in these records updated within a week. However in the meantime please follow the steps below to access the correct links. Enter the relevant Course Code, e.g. ALAF 5270, or Course Name, e.g. Economic Principles. We apologise for the inconvenience this change has caused. Today some changes were made to Unitec's website. A consequence of this is that some of the links we have from the Library website no longer take you to the page they should. Refresh* the Library homepage to ensure you are accessing updated links. If you find a link on any other part of the Library website that is not taking you to the correct place please first try refreshing* the page the link is on, if that does not fix it please send the URL of the page the link is on to library@unitec.ac.nz and say which link on that page is not working. Our sincere apologies for any inconvenience these changes cause.